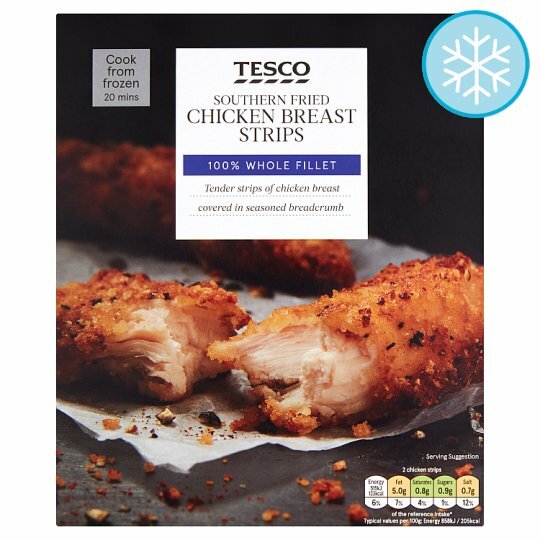 Chicken breast strips in Southern fried breadcrumbs. Instructions: 200°C/Fan 180°C/Gas 6 20 mins For best results cook from frozen. Place on a baking tray in the centre of a pre-heated oven for 20 minutes. Caution: This product contains raw meat.Caution: Although every care has been taken to remove bones, some may remain.